I'm happy I lived long enough to see the following photograph. I give a major high five across the Internet to everyone involved in the WISE satellite which here for example, and for many years ahead will give us nothing less than the most outstanding views of our Universe via that great spectrum: The Infrared. 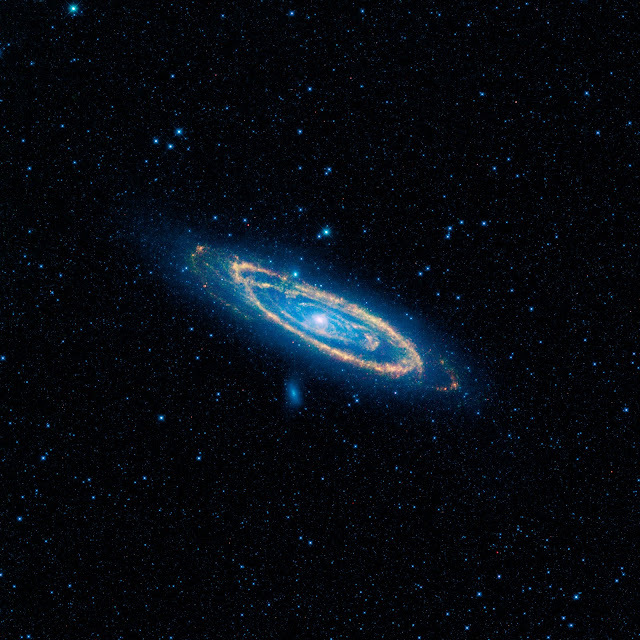 Beginning with The Andromeda Galaxy, here, being our "twin" galaxy a mere 2.5 million light-years away. I can't see it where I live. I can locate it based on the Cassiopeia constellation, but I can't see it. Too much light pollution 30 miles west of NYC.